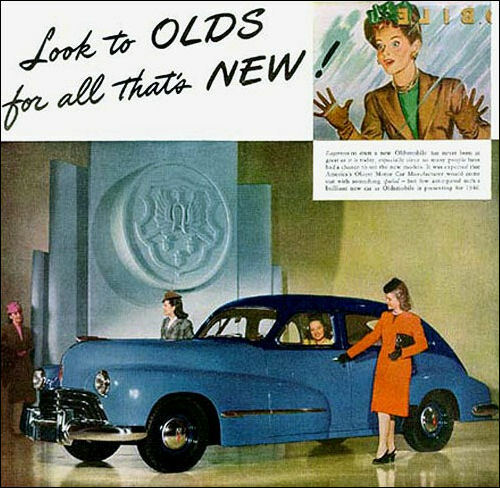 W lipcu ubiegłego roku powstał pierwszy powojenny samochód General Motors – zbudowany ręcznie Oldsmobile prezentowany w Lansing i innych amerykańskich miastach. 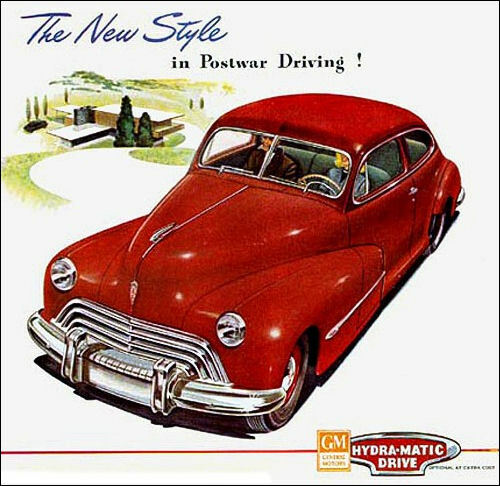 15 pażdziernika 1945 roku wyprodukowano pierwszy model Oldsmobile przeznaczony do sprzedaży. 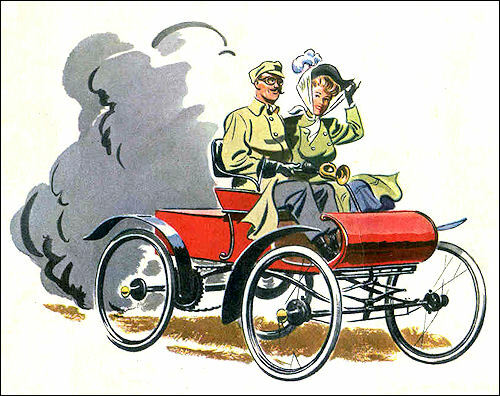 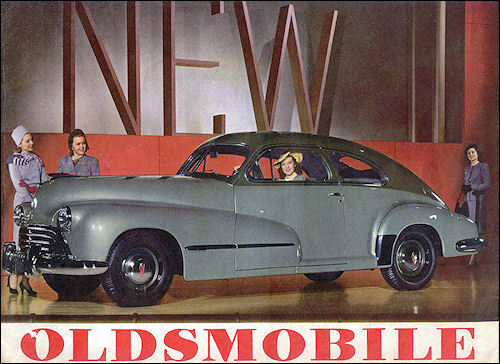 Ever since the days of the "Curved Dash Runabout," Oldsmobile has been famous for combining new ideas with proved features ... in the right proportion to create a fine automobile. 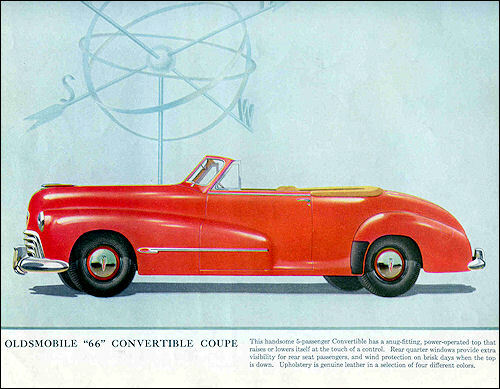 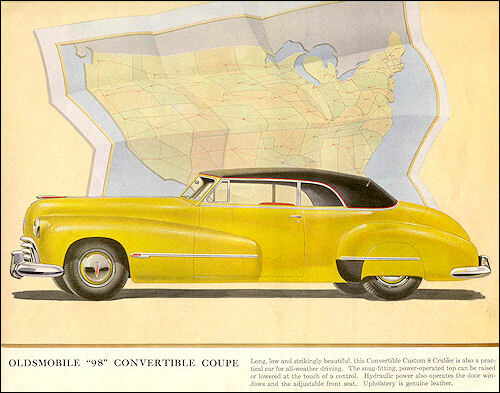 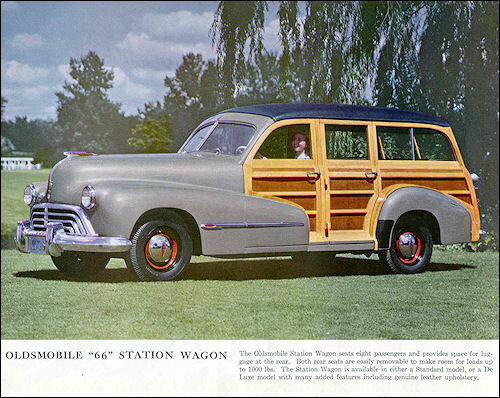 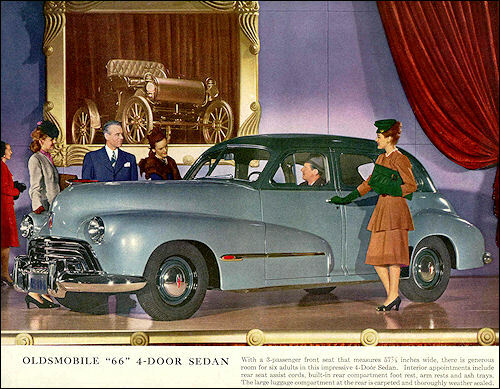 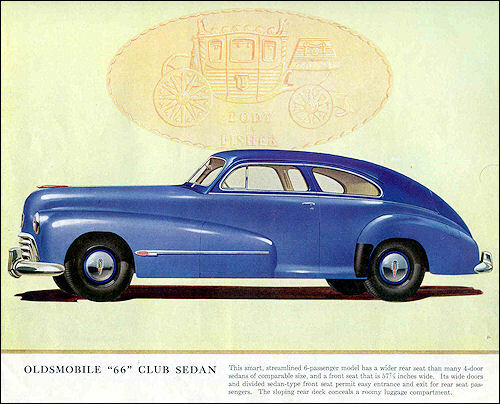 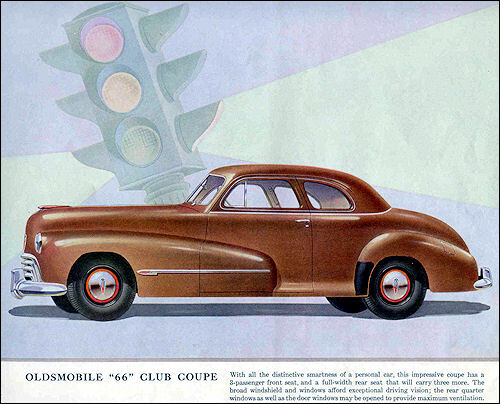 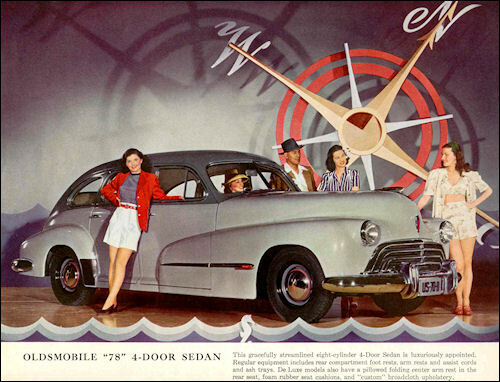 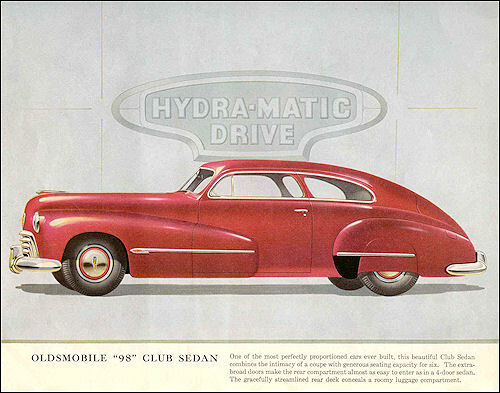 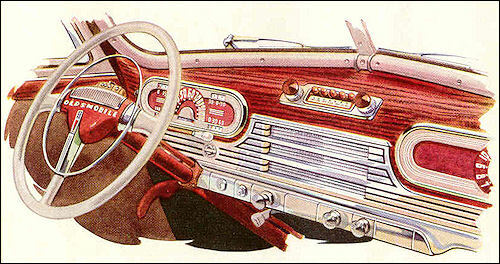 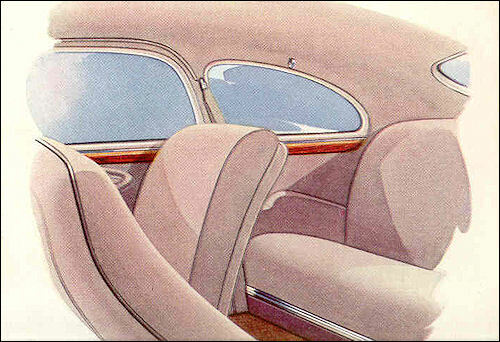 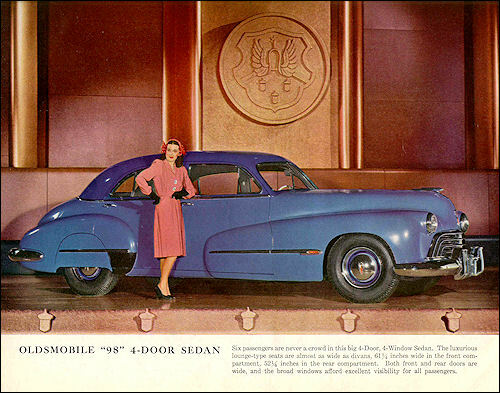 This tradition is carried out in the new 1946 Oldsmobiles presented on the following pages. 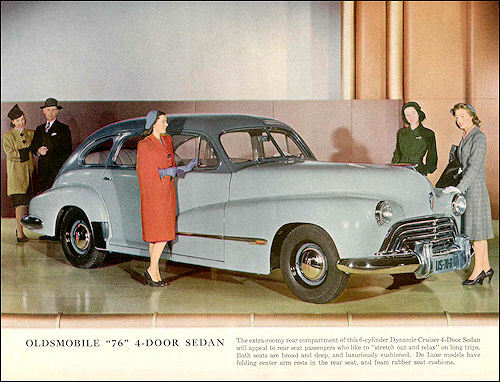 The photographs will give you some indication of how new these cars really are. 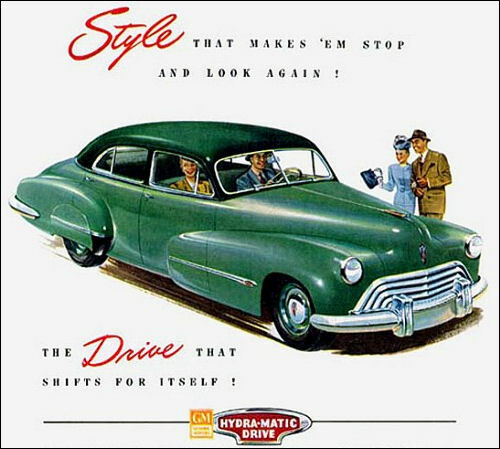 The camera reveals in full color the modern distinctiveness of their front end design ... the graceful beauty of their all-over styling. 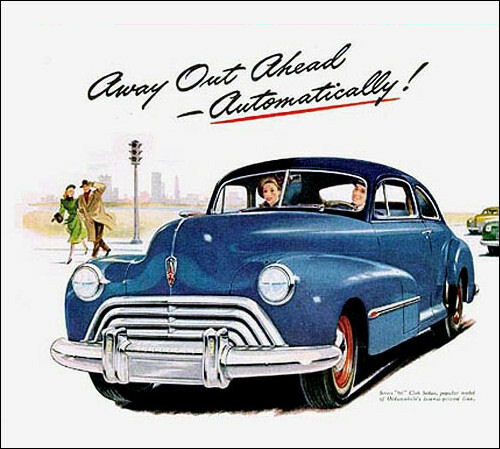 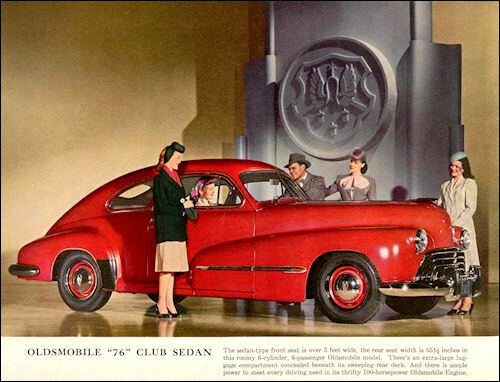 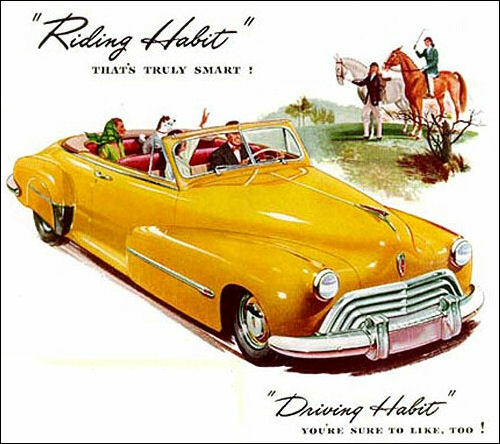 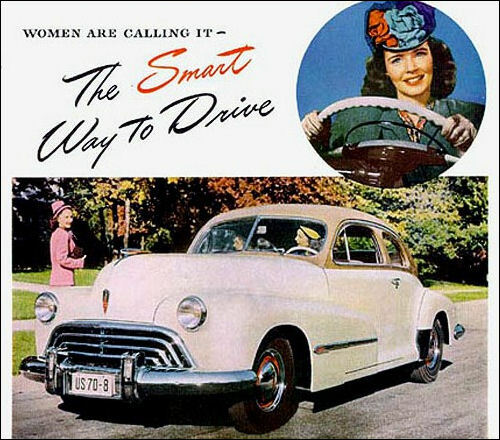 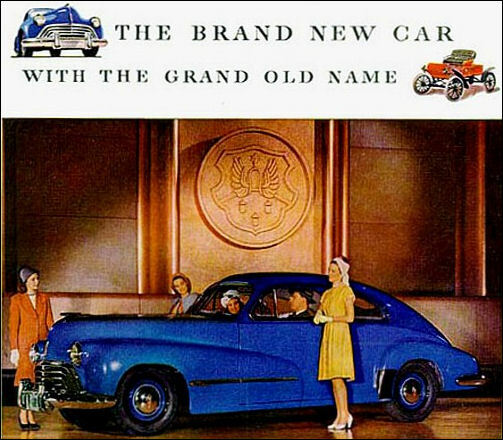 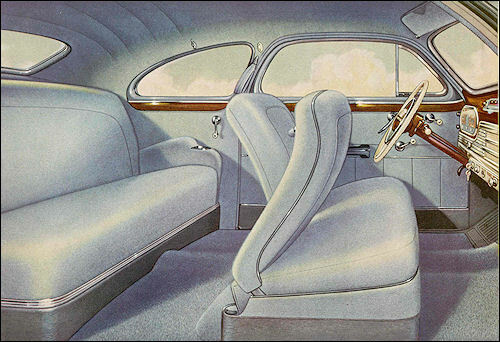 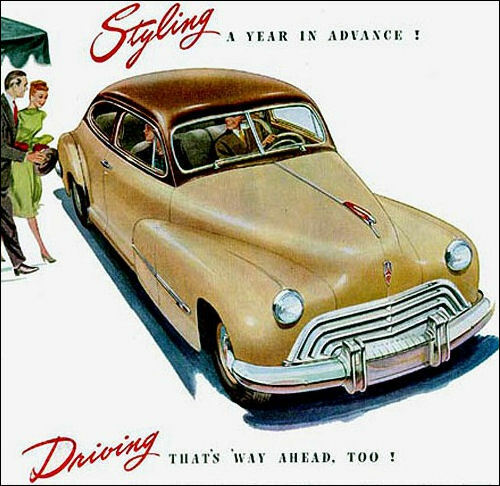 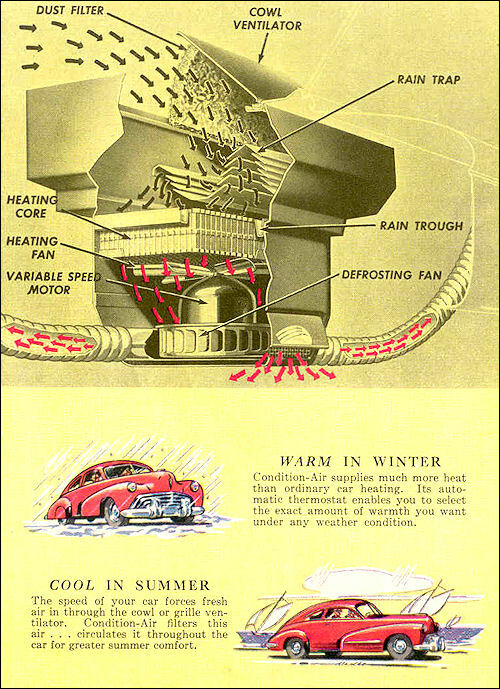 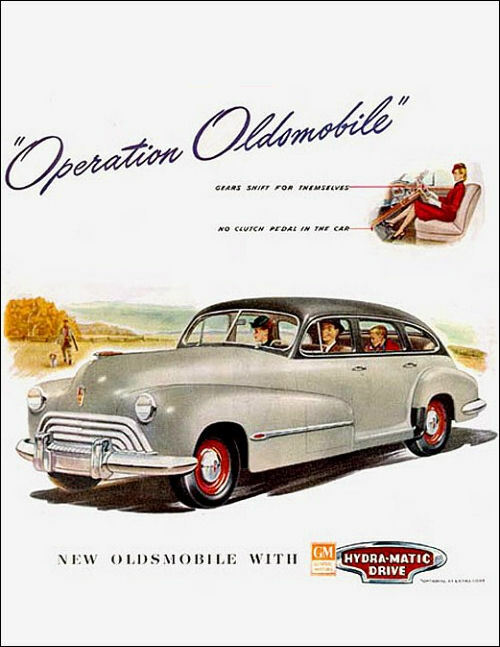 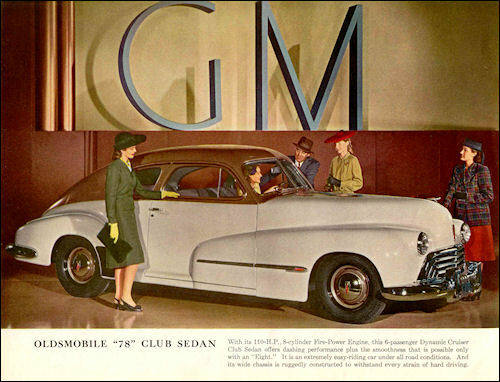 Yet it takes the experience of actually driving the 1946 Oldsmobile to gain a real appreciation of how it combines many new improvements – in engine and body and chassis – with proved quality features and basic soundness of design. 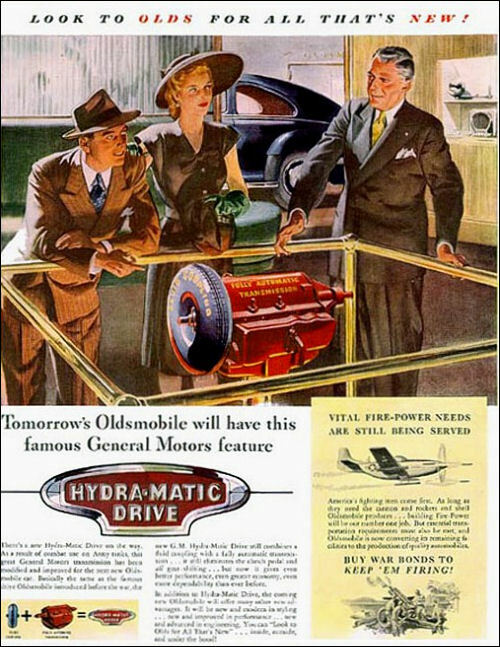 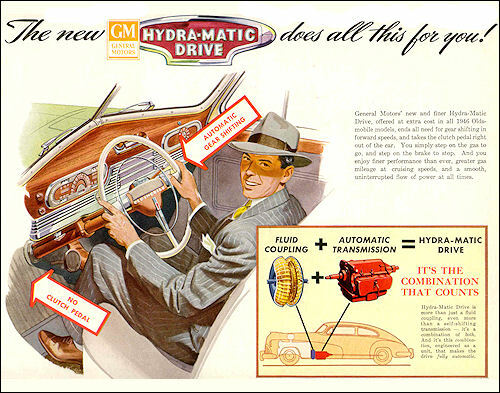 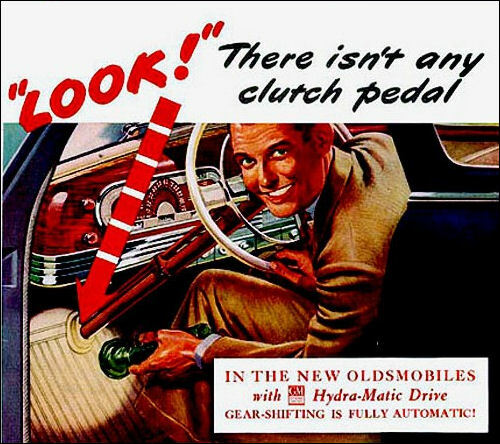 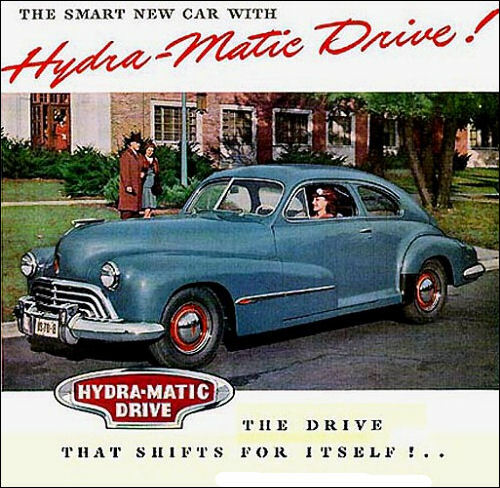 Add to these advantages the New Hydra-Matic Drive – the famous General Motors feature that gives you fully automatic gear-shifting and eliminates the clutch pedal entirely – and you'll understand why we say ... "Look to OLDS for All That's NEW!" 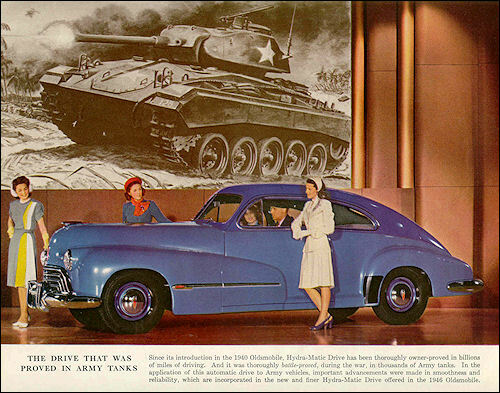 The drive that was proved in army tanks.